Extend your brand's reach with the REW IDX App for iOS and Android devices to improve your brand recognition, drive engagement & increase client loyalty. Your brand is important, and so is the user experience. That's why we start with our proven REW IDX App as the foundation — then work to create a unique branded look that captures you and your business. A branded mobile app improves brand recognition, which boosts reputation and increases credibility within the community. When you have a strong brand, buyers and sellers will want to work with you. Take your business to the next level with your own branded mobile app. 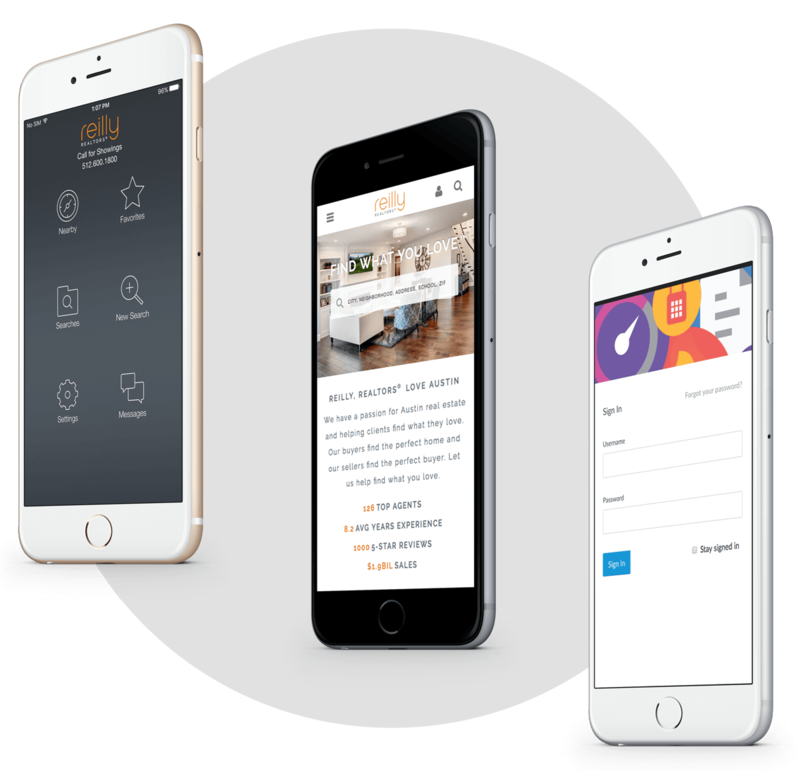 The REW IDX app automatically connects with REW CRM, ensuring a seamless experience for both you and your clients. Your branded real estate app ties directly to your Lead Manager, enabled you to manage your relationships the same way you always have — using REW's familiar CRM system. Your leads' contact information, viewed listings, favorite listings, and saved searches appear under their account just like any other IDX user on your site. For your users, the direct connection with your site means they can use the same profile on any mobile, tablet, or desktop device. Buyers can save a search in your app and view it later on a desktop computer, or save a favorite on the website and get instant access to it on mobile. Viewing real estate has never been this quick! With the REW IDX App's instant access to Nearby listings, your users can begin their search immediately, exploring properties on a map or summarized as a list. Finding properties in a specific area is just as easy. Your branded real estate app features the same Polygon & Radius searches that your customers have come to expect from your IDX. Just draw using your finger and let your device do the rest! Intuitive design throughout the REW IDX App makes it easy for users to navigate, create and save advanced searches with filtered results, and store favorite properties for later. It's fast and easy. A branded REW IDX App sets you apart from the competition. With the REW IDX App, your clients and leads are always connected to you. 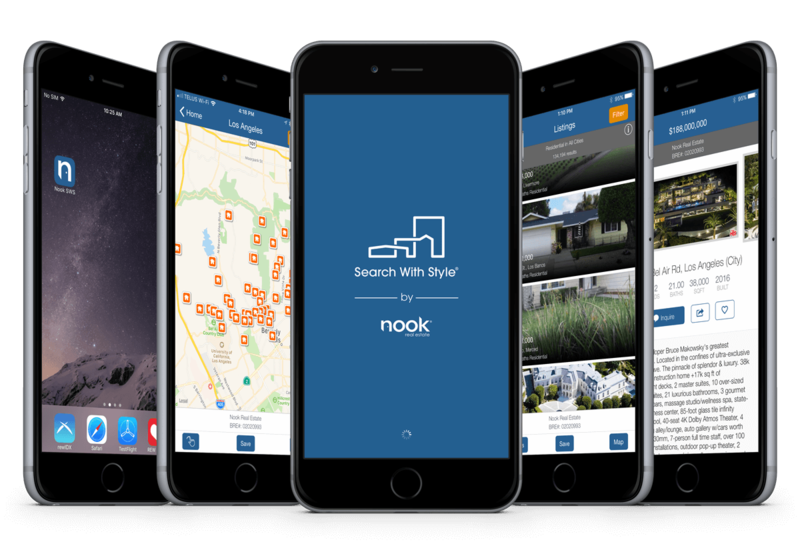 Your app's users can browse homes, inquire about properties, or send you an instant message within the app, wherever they are. 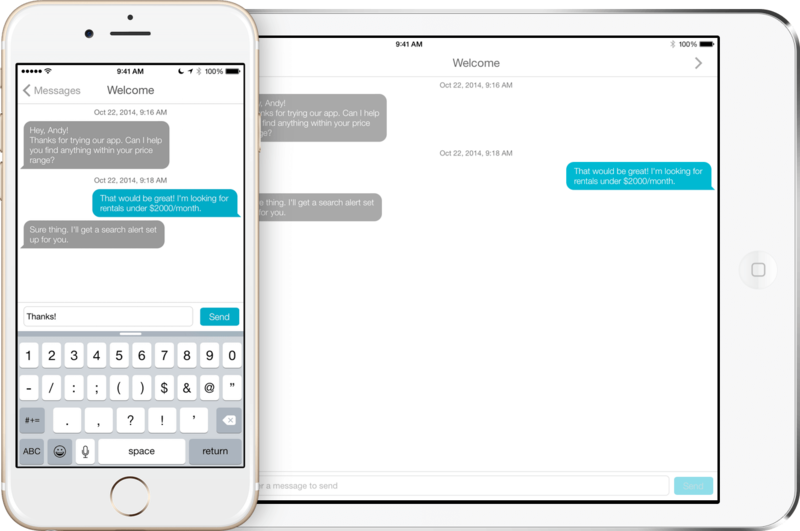 Stay in touch with your customers and answer their questions directly from the Backend. The REW IDX App's notification systems also allow you to connect with leads better than ever before. Start a new conversation and your users will be notified about it via email and push notification. Recommending properties and searches to leads is just as easy to do from the REW CRM. Just like on your site, customers can save their searches for later viewing. Recommendations are clearly marked within the branded iOS and Android apps and allow your customers to take action. Take a look at the REW IDX App for iOS and Android first-hand with a complimentary, no obligation demo. Simply fill out the form below and one of our team members will be in touch.